It’s too cold to go missing in northern B.C., as a mismatched team of investigators battle the clock while the disappearances add up. A popular rockabilly singer has vanished in the snowbound Hazeltons of northern B.C. Lead RCMP investigator David Leith and his team work through the possibilities: has she been snatched by the so-called Pickup Killer, or does the answer lie here in the community, somewhere among her reticent fans and friends? Leith has much to contend with: rough terrain and punishing weather, motel-living and wily witnesses. The local police force is tiny but headstrong, and one young constable seems more hindrance than help — until he wanders straight into the heart of the matter. The urgency ramps up as one missing woman becomes two, the second barely a ghost passing through. 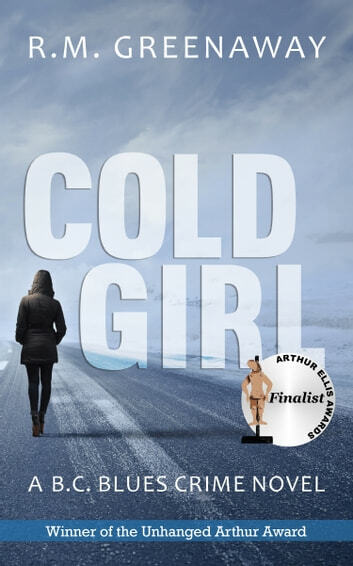 Suspects multiply, but only at the bitter end does Leith discover who is the coldest girl of all. Set in Hazelton BC and in the surrounding area. A well written story that keeps the reader guessing whether the singer is a alive or dead. For a long time I began to wonder about constable Dion or the Inspector from Vancouver who never seemed to go home. A good read that keeps you guessing till the end. I stumbled across this book searching a promo code list but have to say it should be front and centre in its genre. For anyone who likes Ann Cleeves' Shetland or Vera series this is a must read. Best mystery I've read set in BC - it captures the landscape and the rural culture. Extremely interesting characters take us into the reality of being a cop in a remote community and the cultural mix rings true. I loved this book and highly recommend it. Complex and intelligent plot, believable characters. An excellent read. Am going to look for more from this author. Enjoyable read. A who done it that gives nothing away until the end. I'd happily read another by this author.